Hello! 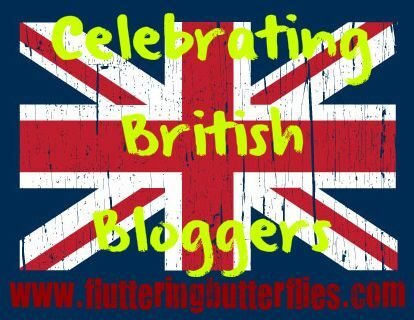 And welcome to another week of Celebrating British Bloggers! I really hope you guys are loving this feature as much as I am. I'm really quite thrilled to be interviewing so many amazing book bloggers! And today is another one of my favourites. 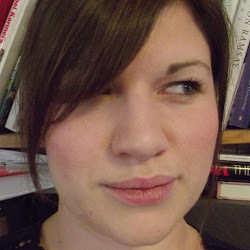 I love, love, love Anna's blog. I really do. And I think she has amazing taste in books. You really should click the link below and follow her blog! Well, I'm an (early) thirty something mum/wife etc etc. I live in deepest west London and work part time as a freelance web content writer. And also spend not nearly enough time trying to write my first YA novel. I started the blog a while back and I'm afraid I'm not the most committed of bloggers, my posts being a bit thin on the ground recently. I mostly read and review contemporary YA, but I also like to do posts about short stories and any writing issues that I'm pondering. And anything that takes my fancy, really! A couple of years ago, I was going through a very reflective period as most folks tend to do at some point in their lives and began being all 'but what do I REALLY want to do?' which resulted in me rediscovering my teenage love of writing down stuff. When I picked up on the fact that all my finished and unfinished short stories seemed to be about teenagers and angst and more angst, I thought now might be the time to start reading some YA fiction again. In my clueless state, being completely unaware of the whole YA blogging world, I just set up a basic blog just to get myself in the habit of keeping to my new habit. And from there, this opened a whole world of discovery! My blogging habit still remains intermittent at best (as much to do with laziness and well as lack of time) but I hope to get back into the swing of things soon(ish). Chasing after children with toothbrushes/hairbrushes/school uniforms. I would say I devote approximately 50% of my time picking stuff up off the floor. Apart from this? I try to cram in work when small people aren't under my feet. 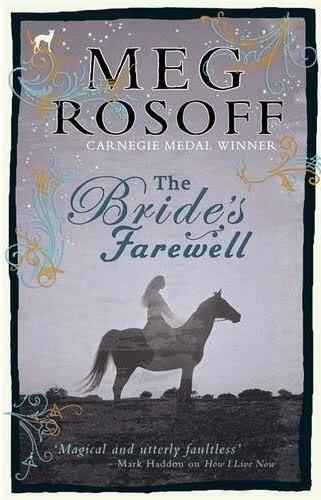 And trying to complete my first book. Oh, and, at present, obsessing over and watching Downton Abbey and Skins. A strange combination, but it works for me. 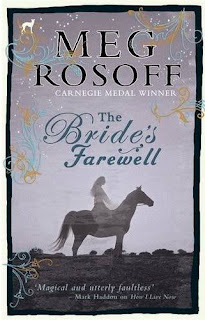 So it turns out it was The Bride's Farewell by Meg Rosoff. And very good it was too! Actually, it was so much more than very good. Easy - meeting some fantastic bookish people that I adore, especially Jo from Wear The Old Coat who puts up with my terrible jokes on a daily basis. 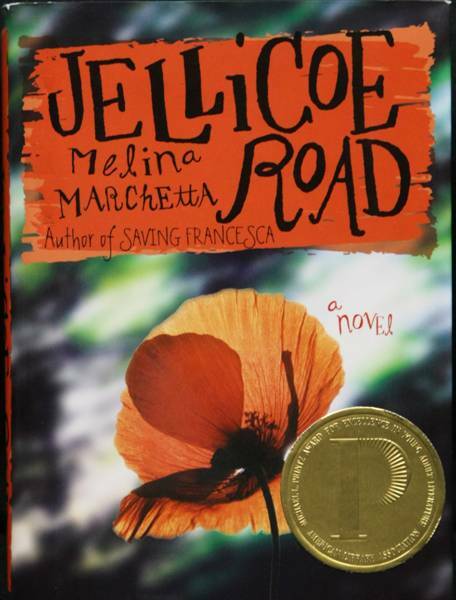 Ok, On the Jellicoe road by Melina Marchetta. That was quite an easy decision, if I'm honest. That book changed my life a little bit. It's a tough choice between someone I would want on my side in a tricky situation, or someone I want to give a great big bear hug to. Mmmm, I think I'll have to go with Violet from the Chaos Walking trilogy, because she's a bit of both. Well Clover, of course! Also, Jo from Wear The Old Coat, Jasprit from The Readers Den, Carly from Writing From The Tub and I've recently discovered Jim from YA Yeah Yeah. I have been lucky enough to meet my favourite author already, Melina Marchetta. I attended at YA workshop run by her just over a year ago. A writing goddess! Other than that, I dream of meeting Patrick Ness and Meg Rosoff, but then my brain would probably turn to mush as soon as I would open my mouth, so maybe it's a good thing that I haven't humiliated myself in front of them yet... YET. Firstly, more of - I'm a big reader of contemporary YA, especially a lot of Australian contemporary stuff. I love the unapologetic, intelligent writing and am a greedy sort so would like MORE of this. ALL THE TIME. I don't think there's anything I necessarily like to see less of. There's are certain styles/genres that just don't appeal to me as a reader, but that's not to say I wouldn't want to see more of these types of books in the teen section of my local bookshop. I think the brilliant thing about YA as a genre is that it is so diverse and ground breaking. I think I would like to see publishers take a few more risks and maybe a little less bandwagon-jumping, but, hey, I guess they're just trying to be successful, so I can't really judge them for chasing the latest trend. 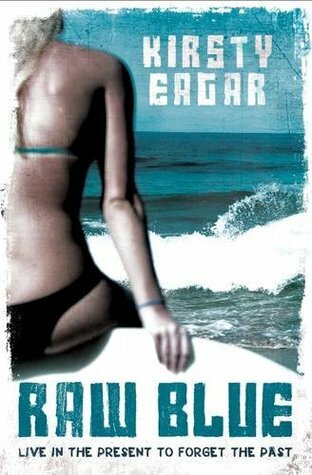 EASY - Ryan from Raw Blue by Kirsty Eagar. Down to earth Australian blokey bloke. It is no coincidence that I am married to a down to earth Australian blokey bloke. 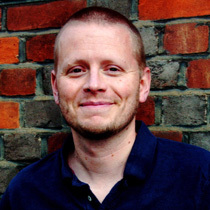 Would you like to meet Meg Rosoff or Patrick Ness? Do you think you could be besties with Viola? Are you crushing on Ryan from Raw Blue too? Would you love to see more Australian contemporary YA? Let Anna and I know in comments! Lovely interview! I've just checked out your blog and followed; I'll definitely be stopping by more now. I really need to read something by Melina Marchetta because I've heard some great things about her writing. Wow! Honoured to be in your top 5, Anna - thank you! Great interview.